GUARDIAN ON BEHALF OF STUDENT. Deborah Myers-Cregar, Administrative Law Judge (ALJ), Office of Administrative Hearings (OAH), heard this matter on June 20, 21, and 22, 2011, and on August 8, 15, and 29, 2011, in Garden Grove, California. S. Daniel Harbottle, Attorney at Law, represented the Garden Grove Unified School District (District). Gary Lewis, Assistant Superintendent for the District, attended five days of hearing, and Dr. Michael Keller attended on August 8, 2011 in his place. Tania Whiteleather, Attorney at Law, represented Student. Student’s guardian (Guardian) attended all six days of hearing. District filed its request for due process hearing (complaint) on December 22, 2010. On January 10, 2011, OAH continued the due process hearing for good cause. On August 29, 2011, at the close of the hearing, the parties were granted permission to file written closing arguments by September 19, 2011. Written closing arguments were timely received, the matter was submitted, and the record was closed. Whether District provided Student with a free and appropriate public education (FAPE) in his June 3, and June 21, 2010 Individualized Education Program (IEP). 1. Student is 17 years old and has lived within the jurisdictional boundaries of the District at all relevant times. He qualifies for special education services under the category of Autistic-Like Characteristics, with a secondary eligibility of Other Health Impairment. 2. In June 2007, Guardian withdrew Student from the District’s program and unilaterally placed Student in Pliha Speech and Learning Center (PSLC). PSLC is certified as a non-public agency to provide diagnostic and therapeutic speech and language services. Student receives speech and language services and specialized instructional services at the frequency of four 55-minute sessions per day, five days a week. PSLC is not certified as a non-public school and does not offer Student a state-standard curriculum. 3. In April 2010, District prepared for Student’s annual May 2010 IEP team meeting by contacting Guardian and inviting three PSLC providers to attend. District reimbursed the PSLC providers for attending the IEP team meeting. District asked Guardian for authorization to speak with Barbara Pliha, the Director of PSLC, to discuss Student’s level of progress and the results of Student’s academic and speech and language assessments she conducted in advance of the IEP. Guardian did not consent because she wanted all discussions to be audio-recorded at the IEP. The District did not ask Guardian to sign any other assessment plans for Student’s annual IEP. On May 6, 2010, Student’s attorney telephonically appeared at a preliminary IEP in which the parties discussed mutually agreeable dates in order to include the new assessments conducted by Pliha. District provided Guardian with a copy of the Parent’s Rights and Procedural Safeguards. On June 1, 2010, PSLC faxed its assessment reports to the District, two days before the IEP meeting. 4. The IEP team meetings were held on June 3, 2010 and on June 21, 2010. The IEP meeting notes, audio-recordings, and credible witness testimony provided great detail into the IEP procedures and substantive discussions. 5. All the necessary IEP team members were present at the June 3, 2010 IEP team meeting: District program supervisor Brian Ball; program supervisor Rick Cochrane; District nurse Lily Perry; Bolsa Grande High School (BGHS) assistant principal Renee Perez; BGHS general education teacher Rebecca Young; District adaptive physical education teacher Kiersten Hodson; Guardian; Barbara Pliha; PSLC speech and language pathologist Joyce Kurtz; PSLC academic instructor John Bell; BGHS school counselor Daniel Mejia; BGHS special education resource specialist Baldwin Pedraza; District intensive behavioral intervention (IBI) program specialist Sara Morgan; District speech pathologist Greg Roberson; District’s occupational therapist Ann Fleck; Student’s special education attorney Jack Anthony; and District’s counsel Courtney Brady. 6. The four IEP team members from the comprehensive high school, BGHS, were qualified to provide and design an educational program specially designed to meet Student’s unique needs. Specifically, they were knowledgeable about the general education curriculum at its comprehensive high school and resources available to Student. The District team members were familiar with the typical classroom at BGHS, which instructed 30 to 50 students in each class. The District team members had knowledge about implementing goals in this comprehensive high school setting, the special day class setting, the resource setting, and the one-to-one setting. Several members were qualified to interpret the instructional implications of Student’s assessment results, including the occupational therapist, school counselor, and speech and language therapist. 7. The IEP team discussed Student’s special and unique needs. The three IEP team members from PSLC had specialized expertise and knowledge about Student, as his direct providers for speech and language therapy and academic instruction. PSLC provided the team with Student’s present levels of performance. The District accepted all of PSLC’s assessments and used them for developing Student’s baselines and present levels of performance. The BGHS special education teacher had developed draft goals, based on Pliha’s academic assessments. The goals were developed so they could be implemented in any classroom. All of Student’s goals were modified with Pliha’s input and approval at the IEP team meetings. 8. The IEP team discussed Student’s current academic levels and baselines. Pliha, Student’s speech and language pathologist and expert witness, conducted Student’s speech and language and academic assessments. She is the director of Pliha Speech and Learning Center, and the former director of the Reading and Language Center, where Student also attended. Pliha was a direct provider for Student for several years and knew him well. Pliha supervised Student’s program in which he received four 55-minute sessions of one-to-one academic instruction per day, including three sessions per week of individual speech and language therapy. 9. Pliha was a qualified academic and speech and language assessor. In preparation for her assessments, Pliha reviewed Student’s extensive assessments and evaluations from 2004 to 2009. Pliha’s assessments were conducted in a way that used a variety of assessment tools and strategies to gather relevant functional, developmental, and academic information, and included information provided by the Guardian. Pliha did not use any single measure or assessment as the sole criterion for determining whether Student had a disability. Pliha used technically sound instruments that assessed the relative contribution of cognitive and behavioral factors, in addition to physical or developmental factors. The assessments she used were selected and administered so as not to be discriminatory on a racial or cultural basis. They were provided in a language and form most likely to yield accurate information on what the child knows and can do academically, developmentally, and functionally. The assessments were used for purposes for which the assessments are valid and reliable, were administered by a trained and knowledgeable speech pathologist, and were administered in accordance with any instructions provided by the producer of such assessments. Pliha determined which tests were required based on information known at the time. No single measure, such as a single intelligence quotient, was used to determine eligibility or services. 10. The IEP team discussed Pliha’s speech and language assessment. Pliha conducted the Peabody Picture Vocabulary Test 4A (PPVT-4A), the Expressive Vocabulary Test, Second Edition, Form A (EVT-2A), the Test of Auditory Processing Skills-Third Edition (TAPS-3) and the Clinical Evaluation of Language Fundamentals-4 (CELF-4). Student’s scores on the PPVT-4A demonstrated his receptive vocabulary fell within the average range. Student’s scores on the EVT-2A demonstrated his expressive vocabulary fell within the average range, and his ability to name nouns, verbs and synonyms was a relative personal strength. His scores on the TAPS-3 demonstrated he performed in the average range overall, very near the mean, on various aspects of auditory processing, such as perception, recognition, sequencing, and retention at the sound, word, phrase and sentence levels. Student had the most difficulty with repeating sentences heard and explaining or interpreting another’s actions, performing in the below average range on the Cohesion Index. Student performed in the average range on the Phonological Index subtest, successfully discriminating between similar words, manipulating sounds within words, and retaining information. Student’s scores on the CELF-4 fell in the average range on expressive and receptive word classes, word definitions, sentence assembly, and familiar sequences. His scores fell within the below average range on recalling sentences, formulating sentences, understanding spoken paragraphs, and number repetition. Student’s CELF-4 composite scores demonstrated he has mildly impaired general core language skills, moderately impaired receptive language skills, low average expressive language skills, low average language content skills, low average language memory skills, below average working memory skills, and inadequate pragmatic communication skills. Pliha’s written reports documented that Student needed speech and language therapy services, based upon her interpretation of Student’s testing. Pliha’s reports described her observation of Student’s behavior relevant to his academic and social functioning and included educationally relevant health, development and medical findings. She recommended he receive three 55-minute sessions per week of speech and language therapy to improve auditory comprehension, reasoning and social communication skills. 11. The IEP team discussed Pliha’s academic assessment. Pliha conducted the Test of Written Language 4 (TOWL-4), the Wide Range Achievement Test: Fourth Edition (WRAT-4), the Woodcock Johnson III NU Tests of Achievement (WJ IIINU) and the Gray Oral Reading Tests: Fourth Edition (GORT-4). On the TOWL-4, Student scored in the average range on the contrived writing composite, the spontaneous writing composite, and the overall writing composite. On the WRAT-4, Student scored in the average range on the word reading subtest, the reading composite, and math computation. He scored in the below average range on the sentence comprehension subtest. On the spelling test, he scored in the high average range. On the GORT-4, Student scored in the below average range in his reading rate, overall fluency, comprehension, and accuracy. While Student read eighth grade instructional reading material comfortably, he was receiving sixth grade material for instruction in vocabulary development and for higher level reading comprehension skills. On the WJ IIINU, Student scored in the high average range for calculation and math fluency (with a score in the 98th percentile), and in the average range for applied problems. He scored in the high average range for broad math composite and math calculation composite (with a score in the 95th percentile). Pliha recommended Student receive individualized academic instruction in an environment that met his unique health and academic needs, referencing his anxiety and ADHD. Pliha’s written report documented that Student needed special education and related services, based on the results of her testing. Her report described her observation of Student’s behavior relevant to his academic and social functioning and included educationally relevant health, development and medical findings. 12. The team discussed Student’s current social levels and baselines. The IEP team discussed Student’s ability to learn in a small group setting. Student had not been provided with any small group instruction since he was unilaterally placed. However, Student was able to concentrate, participate, and learn in group instruction during basketball, soccer, and baseball practice. 13. The IEP team discussed Student’s preferred setting, one-to-one individual instruction. Student’s academic instructor, John Bell, had worked with Student on a one-to-one basis for three years. Bell and Pliha reported they believed Student needed one-to-one instruction because his attention and focus required re-direction. PSLC staff was concerned that small group instruction would not provide Student with the detailed attention that their method of instruction provided. The District expressed concerns that Student was becoming too prompt dependent on an individual instructor. Pliha replied that if Student’s attention were lost, he would lose the goal of his lessons, a higher level thinking process. 14. The IEP team discussed Student’s level of anxiety, behavior, and intervention strategies used during his academic instruction. Pliha noted that sometimes Student would seem anxious and tap or bounce his leg up and down. Guardian reported he had been diagnosed with post traumatic stress disorder. Guardian described Student’s level of anxiety as ‘minor,’ and reported Student had gone through therapy and he was learning how to calm himself down with deep breaths. Student’s occupational therapy provider agreed Student made tremendous progress over several years. Student was becoming more aware of his anxiety, and she had provided him with breathing techniques and sensory activities to help him decrease it. Student’s attorney at the IEP meeting believed his anxiety was worse in a District placement. The District suggested an accommodation of three verbal prompts to help him back on-task, to help him with higher level thinking skills. The occupational therapist believed Student was self-regulating his feelings with adult prompts. He did not require a ‘sensory diet’ to keep him on-task. 15. District’s IBI specialist and Pliha discussed Student’s behavior. The IEP team agreed he had no inappropriate behavioral issues. Pliha noticed that Student seemed more anxious during academic testing, when Student had to meet high level expectations or was exposed to a new concept which he couldn’t understand. The IBI specialist discussed the strategies Student currently uses, such as deep breaths to calm himself down. Student rarely lost his temper. Student’s instructor did not have to use behavioral prompts very often with Student, and there had not been any sessions in which Student’s frustration level affected a lesson. BGHS’s assistant principal mentioned some additional intervention strategies she had used with some of her special education students. Guardian discussed the importance of Student talking about his feelings to calm down. No one requested a psychological assessment to measure his anxiety level. 16. The IEP team discussed Student’s health status. Student’s prescriptions included Lamotrigine, Focalin, Lexapro, Trazodone and Intuniv for anxiety, sleep and attention deficit disorder (ADD). Guardian did not raise any new medical concerns. No one requested a further assessment. 17. The IEP team discussed Student’s present levels of performance. In the area of reading comprehension, Student’s word decoding was at grade level, his comprehension was at the sixth to seventh grade level, and his inferential comprehension was at a third to fourth grade level. In the area of written communication, writing and recalling factual information was a strength for Student. Student’s instructor used pre-writing and outlining to help Student structure the content of his essays and write meaningful paragraphs. He needed help with verb tense consistency. Pliha provided input into the goal for written communication, vocabulary and discussed a possible reading comprehension goal, although that goal was mistakenly not entered into the IEP notes. In the area of math, Student was strong in calculation, and math fluency, but weaker and not consistent in word problems. Student required prompts for multiple set problems to help him initiate his thoughts. Pliha provided input into the goals, suggesting his goal be competency in seventh grade math. Student was also learning geography, social studies, and typing, which were not required courses. 18. The team discussed Student’s social opportunities, which were limited to community-based sports activities after school. In reference to Student’s speech and language levels and social language levels, Pliha led the discussion of her speech and language report. Student had strong vocabulary skills and was comfortable with preferred topics. Novel conversations were more difficult. Student showed a great deal of empathy toward others. Although Student received instruction in a room with no peers, he did have an opportunity to interact with peers at PSLC other than during his five-minute breaks between instructional sessions and during other unstructured times. When Pliha provided speech and language therapy to him, she focused on vocabulary building, problem solving, cause and effect, and sequence. Pliha provided input into his speech and language goals, such as providing stories with unexpected external behavior, and identifying thoughts and feeling in a short, age-appropriate passage. She discussed how his higher level thinking was affected by his autism and ADD, and that he needed multi-modal input. Pliha advised of Student’s ability to take turns, maintain eye contact, use voice volume control, body language, initiate topics, switch topics, and think of topics. Student’s receptive vocabulary was at a sixth grade level. Student’s ability to memorize vocabulary was at grade level, but he found it challenging to use the word appropriately and to deal with different meanings of the same word. With Pliha’s input, the team drafted four goals in the areas of pragmatics. 19. The parties agreed to additional observations and testing for Student, and agreed to reconvene on June 21, 2010. Guardian agreed to allow the District speech pathologist to observe a session with Student. Pliha agreed to conduct the vocabulary subtest of the Woodcock Johnson in time for the next meeting to supplement their discussion of Student’s vocabulary goals. At the end of the IEP meeting, the notes were typed up and mailed to Guardian and her attorney. 20. On June 21, 2010, the IEP team reconvened. In general, the same necessary and knowledgeable IEP team members were present, including Student’s Guardian and attorney. District was represented at the IEP meeting by a different attorney, Daniel Harbottle. The only exception was District’s nurse, who did not attend. 21. The June 21, 2010 IEP meeting began with continued discussion of Student’s levels of anxiety, socialization baselines, and his preferred instructional setting. Pliha and Guardian described his anxiety level as ‘variable’, and explained that Student typically bounced his leg or raised the volume of his voice. Once, Student put his head down when he was exposed to an unfamiliar person (the District’s speech and language pathologist who was observing a session), which Pliha believed to be an anomaly. The IEP team agreed Student had no behavioral problems. 22. The IEP team discussed Student’s anxiety and ADHD. The team discussed a letter prepared by Student’s psychiatrist, Dr. Ihab Soliman. Dr. Soliman examined Student for medication management every 10 weeks for 30-minute sessions. Student was under his care for autism disorder, with associated symptoms of short attention span similar to attention deficit hyperactivity disorder (ADHD) and features of anxiety. Student was taking Focalin for ADHD, and Lexapro for obsessional anxiety. Dr. Soliman described Student’s ‘severe attentional symptoms’ and ‘severe anxiety’ as ‘profoundly impairing his ability to learn,’ and recommended a continuation of Student’s ‘ideal educational setting’, or Student would quickly decompensate in a less structured supportive setting. Dr. Soliman had not observed Student at Pliha’s agency or in any other educational setting. Dr. Soliman did not testify at the hearing regarding his examination and treatment of Student, so his opinions were not subject to cross-examination. 23. Student’s occupational therapist continued the discussion of Student’s anxiety and self regulation issues. She is teaching him deep-breathing techniques, and he no longer needs to use objects like a squeeze ball. When he becomes anxious at her office, Student performs sit-ups to relax, or picks up one of her bolsters. She also talks to Student about his anxiety, and he calms down. The team did not write an anxiety goal. Pliha did not recommend any goals and objectives for Student’s anxiety and attention issues at the IEP meeting. Pliha never thought about writing such a goal for Student because she provided him with a setting that maximized his attention and minimized his anxiety. 24. The IEP team discussed Student’s occupational therapy needs. They agreed he did not have an area of unique need with respect to his gross motor skills and physical education. Student had been participating in a community-based soccer and basketball league for two years, and did well athletically, as well as socially with typical peers. 25. The IEP team discussed Student’s fine motor skills and sensory processing needs. District’s qualified non-public agency occupational therapist, Ann Fleck (Fleck), presented the results of her June 2, 2010 progress report and her proposed goals. Fleck had provided occupational therapy for Student since March 2004, for 45 minutes each week. Student had sensory processing and fine motor skills deficits. Fleck was working on Student’s sensory activities, including body and facial awareness, and personal space. She also discussed his sensory processing needs, including vocal volume control and handwriting pressure. Bell explained Student was learning to type, and he needed to adjust his hand placement on the keyboard. Pliha’s agency was also teaching Student how to apply lighter pressure on the pencil, and how to apply heavier pressure with an eraser to remove the pencil marks. Fleck was using a special graph paper with small uniform boxes for Student to learn sizing and spacing of his letters. He needed prompts to slow down his rapid and messy handwriting. Fleck’s goal was to use regular paper. Fleck did not recommend a sensory diet because Student was doing fine without one. If Student’s learning environment were to change from his one-on-one instruction, Fleck would want to use a sensory diet if necessary. The team developed two occupational therapy goals, with input from Student’s providers. 26. The IEP team discussed Student’s individual transition plan (ITP). BGHS’s special education teacher discussed the results of Student’s transition assessment. According to the “Career Game Explorer” assessment results, Student enjoyed intellectual challenges. Guardian explained Student wanted to attend college. Guardian’s goal for Student was to increase his educational knowledge. The District discussed how he could earn credits toward a high school diploma, which gave him the most opportunities. Student’s special education attorney was concerned that if they selected a diploma track curriculum, Student would not receive services from age 18 to 22. BGHS’s special education teacher explained that would depend on him passing the exit exam and on his placement, such as a moderate-severe program or a mild-moderate program of a high school placement setting. If Student passed the program, he could still attend an adult transition program from 18 to 22. Guardian expressed that Student was starting to catch up academically, and she wanted him to continue to progress. Pliha declined to comment on her preference of Student being placed on the diploma track or the certificate track, because she had never thought about it before. Student’s attorney wanted to consult with Guardian before they made a decision about their preference. BGHS’s special education teacher did not know the Student well enough to make a recommendation. District’s counsel explained the need to address Student’s training, education, employment, and independent living goals. He thought it appropriate to recommend enrollment in a junior college or vocational school, as a diploma track would entail certain academic goals and accommodations. Ultimately, the team proposed a diploma track curriculum, but Guardian did not consent, and opted for a certificate track program. Ultimately, Student’s ITP goals were developed and included Student enrolling in a postsecondary training program at a junior college or a vocational school; being employed in an entry level job in his area of interest; and independently transporting himself to and from school and work. 27. The IEP team discussed Student’s independent living skills, and Guardian reported Student did not go anywhere by himself. BGHS assistant principal, Renee Perez commented that going into the high school world was a big step, and recommended training Student to take a bus route by himself, as a step toward developing his independence. BGHS assistant principal Perez thought the difficult transition from elementary to middle school, and middle school to high school, was a big shift; transitioning Student to a school setting was a part of transitioning him into the community and real life situations. 28. The IEP team discussed Student’s vocabulary needs. Pliha presented the addendum speech and language evaluation, sent to District on June 18, 2010. Pliha provided Student’s baseline for the content area of vocabulary. She helped develop realistic cognitive problem-solving goals, and she thought they were achievable. Pliha thought that if Student had more opportunity, Student would initiate conversations with peers by himself. Guardian described Student as talkative as he would introduce himself to people if he felt comfortable. Pliha and Guardian proposed a goal for topic initiation and for staying on topic with a peer. The team discussed a goal for eye contact and voice volume control. 29. Pliha and her agency collaborated on all nine of Student’s goals in the areas of math, written communication, vocabulary, communication-pragmatics, academic problem solving, and fine-motor/keyboarding. She agreed they were appropriate and achievable goals with her input. The team completed the baselines and goals for Student’s unique needs which would allow him to progress in the general curriculum. 30. District’s counsel discussed how the team met, discussed everything said at the two IEPs, and developed what they believed was a reasonable and appropriate placement option. District’s counsel and Student’s special education attorney discussed Student’s placement. Student’s special education attorney and Guardian were concerned that Student would not be educated with one-to-one instruction. District expressed concern that Student had not been in a school placement for three years, and that the PSLC one-to-one instruction was too restrictive of a setting. District’s counsel discussed how the team was required to consider a continuum of placement options, from a comprehensive high school to a home program. The team considered those options during the two IEP meetings and during breaks. 31. Next, District’s program supervisor discussed the different placement options the team considered. The District first considered, as a long term goal, eventually placing Student into a comprehensive high school campus environment. The discussions over the past two IEP meetings convinced the District members of the IEP team that a ‘comprehensive high school’ was not appropriate at this time. 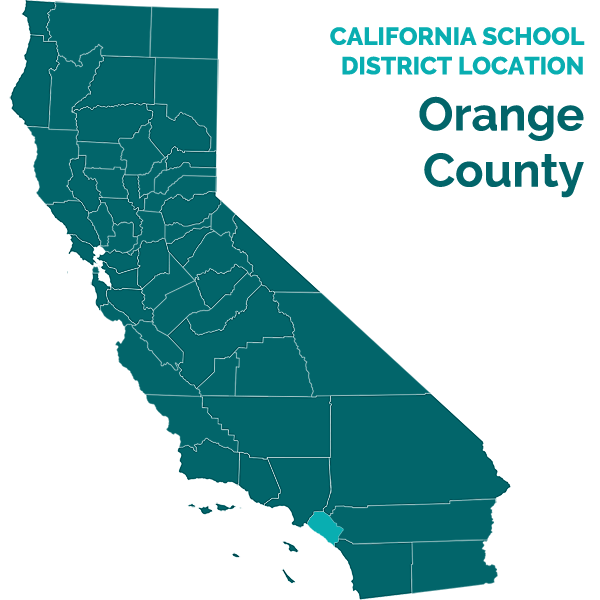 As a result, the District considered and offered an ‘interim placement’ to help Student transition: the Buena Park Speech and Language Development Center (SLDC), a non-public school. The District considered that SLDC would provide all the related services and transition services recommended in the IEP: one 30-minute individual and two 30-minute group speech and language sessions per week; one 45-minute occupational therapy session per week, with up to four 30-minute consultation sessions per year; one 30-minute individual counseling session per week to help with anxiety; physical education (without adaptive modifications); transportation; and extended school year services. Prior to implementation, Student was offered a tour of the program with the Guardian. All services would be reviewed at a 30-day transition IEP. Student could begin as early as July 9, 2010, at SLDC’s extended school year session. 32. District described SLDC to the team. SLDC was a state certified non-public school. Academic instruction at SLDC followed state standards. SLDC provided instruction in a small group setting, with a maximum class size of 12, and a ratio of one adult for every three students. Credentialed speech and language pathologists were trained to provide services in various settings. To address Student’s anxiety and transition issues, District offered one hour of counseling per week. SLDC had a clinical psychologist on staff who could collaborate with Student’s social skills group instructor and help with Student’s transition to SLDC. District offered Student a mild to moderate autism class on a diploma track program. There would be more opportunity for socialization with his peers at this placement, although there would be no “typical non-disabled peers” at SLDC. District considered SLDC to be a lesser restrictive setting than Student’s one-to-one private instruction at PSLC. 33. During placement discussions, Student’s attorney inquired about one-to-one instruction for Student. The District speech and language pathologist did not believe Student was unable to work in a group setting, and believed it would actually reduce a lot of pressure placed on him by the one-to-one format. District referred to Guardian’s description of Student functioning appropriately in several small group settings, without behavioral problems. District wanted to move Student into a less restrictive setting, based on how Student was comporting himself now, based on the goals the IEP team wrote, and based on his new social goals which now included being with peers. The IEP team concluded he needed a less restrictive environment appropriate for his age and level of functioning. 34. Guardian expressed her opinion that Student could only learn in a one-to-one setting, and could not learn in a group setting. Guardian and District discussed the mild-moderate special day class that was offered. Student would be evaluated to determine if he could meet California standard curriculum with modifications and accommodations. The District would use the 30-day transition IEP to make adjustments to his goals, objectives and services. Guardian had visited the mild-moderate program before. 35. Although Guardian felt that Student could only learn in a one-to-one-setting, Guardian raised a concern about the team’s failure to consider Student in a general education placement. In her opinion, District had not seen Student’s progress in three years. However, District’s counsel explained the team’s experience led them to believe that any other setting was not appropriate. District’s counsel explained that although all the IEP team members agreed that a comprehensive high school would not be an appropriate placement for Student right now, the District still had to consider it. Guardian disagreed that a comprehensive high school would not be appropriate for him. 36. The IEP notes were typed up and provided to the parties shortly after the meeting. District agreed to attach Student’s assessments and letters. Student’s IEP contained a general statement that the annual goals enabled Student to be involved/progress in the general curriculum. The IEP team offered a placement which would allow Student to be with disabled peers initially, as a transition toward being with non-disabled peers. The IEP offered a 30-day transition IEP to assess Student’s progress in a lesser restrictive setting with disabled peers. 37. The parties continued their dialog after the IEP meetings. Student’s special education attorney requested changes to the IEP notes on June 11, July 23, and July 26, 2010. Student’s special education attorney requested corrections and changes such as Guardian’s refusal to allow the exchange of information between Pliha and the team until the IEP, the corrected year that Guardian requested assessments, the status of a non-public agency not being a non-public school, a correction of Student’s preferred learning style requiring a one-to-one setting, naming the publisher of Pliha’s assessment materials, correcting Dr. Soliman’s name, correcting a keyboarding present level, correcting the ITP discussions about diploma track and certificate of completion, correcting a statement to reflect that Guardian never consented to any goals, and noting the Guardian’s concerns. Student’s special education attorney also expressed disagreement regarding the annual IEP, and the offer of placement and services. Student’s special education attorney objected to the proposed goals stating they would enable Student to be involved/progress in general curriculum when no general education component was offered. Student’s special education attorney objected to the ‘lack of discussion’ regarding Student’s placement, and called it a ‘pre-determined IEP.’ The letters explained Guardian’s reasons for rejecting the team’s offer. 38. On June 15, 2010, District responded by agreeing to attach Student’s special education attorney’s letters to the IEP, and on September 15, 2010, District wrote an 11-page response to more fully address those concerns. On October 22, 2010, District provided Guardian with an updated IEP which attached the documents Student requested. District also updated some of the IEP meeting notes, made in all capital letters, to reflect some of Student’s special education attorney’s requested changes. These requested changes included a statement made by Pliha with reference to her report, Student’s corrected birthdate, Student’s social and emotional development and his limited peer exposure, and a statement that although Pliha approved the proposed goals, that Guardian did not consent to the goals. Guardian never consented to the IEP, other than the occupational therapy services. 2. District contends that it provided Student a FAPE for the 2010-2011 school year by offering Student an appropriate placement with appropriate designated instructional services at the June 3, and June 21, 2010 IEPs and ITP. Specifically, it contends that it provided Student a FAPE by offering Student a non-public school, SLDC, with the following services: two 30-minute group sessions and one 30-minute individual sessions per week of speech and language services; one 45-minute session per week of occupational therapy and four 30-minute sessions per year of consultation; 30 minutes per week of counseling services; transportation; and extended school year services (ESY). District seeks to implement the IEP without parental consent. 3. Student contends that District did not provide Student a FAPE because it committed numerous procedural violations at the IEP, including: (1) failing to write goals in the areas of social skills, speech and language, math, reading comprehension, vocabulary, and anxiety; (2) denying meaningful participation in the IEP because there was no discussion of Student’s placement; (3) predetermining an offer of SLDC; (4) changing the IEP without parental involvement; (5) failing to address all Student’s unique needs in the area of anxiety; (6) failing to assess Student for anxiety; (7) failing to include an anxiety goal in his IEP; and (8) failing to discuss and offer the least restrictive environment (LRE), a comprehensive high school, instead of SLDC. 9. School districts must have available a continuum of program options to meet the needs of individuals with exceptional needs for special education and related services as required by the IDEA and related federal regulations. (Ed. Code, § 56360.) The continuum of program options includes, but is not limited to: regular education programs; resource specialist programs; designated instruction and services, including, e.g., speech and language, adapted physical education and occupational therapy; special classes such as special day classes; nonpublic schools; and instruction in the home, hospitals or other institutions. (Ed. Code, § 56361.) There is no requirement that the IEP team discuss all continuums of placement options at the meeting. 1 The standard also requires that a school district’s program comport with the IEP. This factor is not at issue in this case. 21. Here, the evidence showed that Student was properly assessed prior to the June 3, and June 21, 2010 IEPs. District met its burden of showing that it obtained information necessary to understand Student’s unique needs, present levels of performance and related developmental needs, and whether modifications or additions in the child’s education program were needed. In past years, Guardian clearly made an informed decision to forego certain standardized assessments on the grounds that Student’s service providers could be relied upon to determine Student’s performance level and unique needs. Guardian also refused authorization for District to speak with her preferred provider prior to the IEP. Nonetheless, Student’s independent and preferred provider’s assessments included speech and language and academics. District conducted an occupational therapy progress report and a transition planning assessment. The assessments conducted by PSLC included administration of standardized tests, rating scales, records review, interviews, teacher input and observations of Student. The assessments addressed Student’s social, emotional, communicative, physical, academic and vocational needs. The IEP team considered Student’s strengths, Guardian’s concerns, and Pliha’s concerns, based on her recent testing and observations. 22. The assessors were very qualified. The assessments were not racially, culturally, or sexually discriminatory, and were administered in Student’s native language, and were selected to produce results that accurately reflected Student’s current levels of function and achievement and other factors the tests were intended to measure. All the reports described the assessor’s conclusions and recommendations for the IEP team to consider regarding Student’s unique needs. 23. Student argues that his anxiety was not properly assessed at the June IEP. However, the evidence showed that Student’s level of anxiety was discussed and addressed as a unique need. Student’s Guardian and occupational therapist at PSLC described his anxiety as mild and variable. When Student became distracted, he required prompts. When he became anxious, he bounced or tapped his leg. The evidence established that Student’s medication and his deep-breathing techniques were sufficient interventions. His anxiety did not affect him academically, as he made educational progress according to Pliha’s academic testing assessments. District addressed this area of need by offering 30 minutes per week of school-based counseling. In all areas, given the wealth of data available regarding Student, his current service providers’ expertise and extensive experience working directly with him, other standardized assessments were not necessary. Given the level of experience and close working relationship between Student and his service providers, there is no evidence that any further psychological assessment would have added any information that the service providers did not obtain from their own observations regarding Student’s academic anxiety. 24. As part of its satisfaction of the procedural requirements of the IDEA and state law, District met its burden of proving that it conducted a procedurally proper IEP with Guardian. Guardian was given advance notice of the meetings. The IEP was scheduled to allow her preferred providers and assessors to attend. Guardian was given a copy of her procedural safeguards. All the necessary and knowledgeable members were present at the two June 2010 IEP meetings: Student’s Guardian; Student’s special education attorney; Student’s preferred direct providers from PSLC, two speech pathologists, one assessor and one instructor; four District employees from BGHS, a regular education teacher, a special education teacher, a school counselor, and the assistant principal; in addition to two District program supervisors, a District speech pathologist, a District behaviorist, a District nurse, a District adaptive physical education instructor, and an independent occupational therapist. The individuals who conducted his assessments were knowledgeable about assessment procedures. The three PSLC providers had knowledge and special expertise regarding Student. The District’s school counselor and speech-language pathologist were also qualified assessors. 25. The IEP document was also procedurally proper. The IEP contained a statement of Student’s present levels of performance, measurable annual goals designed to meet his needs, the manner his progress would be measured, the specific services to be provided, and a general statement that the goals would enable Student to participate in general educational programs, the projected initiation date and anticipated duration. While the IEP notes did not contain a statement that Student would spend time in general education yet, the evidence established that the offer of the less restrictive placement was intended as a transition to enable him to do so in the future. 26. District met its burden of establishing it held a meaningful IEP with participation from Guardian and Student’s special education attorney. They were informed of Student’s problems; they attended two IEP meetings; their preferred provider’s assessments provided present levels and developed goals; they expressed disagreement regarding the IEP team’s conclusions; and they requested revisions to that IEP. 27. Student contends that District predetermined its offer of placement. However, that allegation is not supported by the evidence. District’s IEP team included four members from BGHS, who repeatedly inquired about Student’s learning style and exposure to small groups and typical peers, and made their determination after two days of discussing Student’s unique needs. Guardian and PSLC reported Student learned best when he received one-to-one instruction. Student had had no small group instruction or typical peer exposure since 2007. 28. District did not predetermine its offer of services on the basis that the BGHS’s special education teacher had created draft goals. These preparatory activities and discussions of Student’s program were for the purpose of conducting a full discussion with Guardian at the IEP team meeting. Significantly, the draft goals and objectives developed prior to the IEP team meeting were not tied to a specific placement, but could be implemented in alternative placements. District did not predetermine its offer of placement and services because it repeatedly asked Pliha for her input, and revised the goals in accordance with what she believed to be appropriate. The IEP team adopted Student’s assessors’ and providers’ present levels of performance and goals. 29. Also demonstrating that District did not predetermine its IEP offer, was evidence showing that Guardian was an active participant in the IEP team meeting, whose concerns and objections were noted at the IEP. BGHS special education teacher took notes of Guardian’s concerns and input, and typed up the IEP document at the end of each meeting. Even after June 2010, District and Guardian continued to correspond about Guardian’s concerns. District revised notes and attached the correspondence to a more complete version of the IEP in an October 2010 letter. Contrary to Student’s contention, the District did not alter the IEP notes without parental participation when, in its final draft four months later, it included updated notes requested by Student’s special education attorney, and included additional correspondence between the parties which reflected Student’s concerns and the District’s response to those concerns. 30. Unlike the type of predetermination shown in Target Range and Deal, District did not predetermine its IEP offer because Guardian’s special education attorney and preferred providers actively participated in the IEP process. Student’s IEP team included all essential participants, and the IEP team discussion was comprehensive. The IEP team members were knowledgeable about Student’s previous triennial IEP, his unique needs, his present level of performance and his goals. Student’s preferred provider helped develop nine goals. In Target Range, the school district presented a fully prepared and unalterable IEP to parents, excluded essential members of the IEP team from the deliberations, failed to discuss alternative options and failed to respond to parental concerns. Unlike the school districts in Target Range and Deal, Guardian and Student’s current providers were a critical part of the development of the IEP. District IEP team members did not make a “take it or leave it” offer, but over the course of two IEP meetings, considered Guardian’s input, and that of Student’s preferred provider, to revise Student’s goals. The team incorporated their concerns and suggestions in the development of Student’s goals and objectives, before it made its offer. The record established that District spent a considerable amount of time listening to, discussing and addressing Guardian’s concerns. The evidence overwhelmingly established that Guardian and Student’s special education attorney participated actively in the IEP and ITP process. 31. Student’s further contention that District’s offer was predetermined because the full continuum of placement options was not discussed directly with Guardian and Student’s special education attorney at the IEP meeting, is also meritless. The District’s placement discussions, including the transition to general education, did not have to take place during the audio-recorded portion of the IEP meeting, as long as the District considered Student’s input during those discussions. It was reasonable for the District members to discuss Student’s placement options amongst themselves before and during the IEP process. It was reasonable for District to discuss whether a less restrictive offer was appropriate during the IEP meeting and during breaks, based upon Student’s current ‘more restrictive placement,’ a non-public agency that was not a school. The overwhelming weight of the evidence showed that the team relied heavily on Student’s representatives, instructors and assessors to develop his IEP, his goals, his services, and his placement options, and the team did consider everything from the most restrictive placement of individualized instruction to the least restrictive placement of general education. 32. District met its obligation to have available a continuum of program options. As part of the IEP/ITP, District discussed Student’s current educational program and progress with his preferred provider over two days. The District IEP team members discussed their conclusions that Student should, based on his strengths, be on a diploma track program and should earn high school credits. District offered a non-public school placement as a transition toward a general comprehensive high school. District did have in place a continuum of program options from general education to home schooling. District was not required to discuss every placement option at each IEP to demonstrate its compliance with its statutory duty to supply a continuum of placement options. Although the IEP notes and audio-recordings do not contain a specific two-way exchange of ideas between Guardian and District concerning Student’s immediate placement in a general comprehensive high school at the IEP/ITP, the District did explain its current offer of a non-public school had a small group setting to serve as a transition to a general education high school setting. District explained its concern that Student had been educated in a one-to-one setting for the past three years, and offered counseling services to assist Student with anxiety and transition issues into the less restrictive setting. 33. Student contends that there was no discussion of a continuum of placement options regarding a general comprehensive high school setting. However, the IEP notes, audio-recordings, and credible witness testimony evidence established that the District’s IEP team consisted of four members from that comprehensive high school placement. Those members discussed Student’s instructional needs with his current providers. Based on those discussions at the IEP, they determined the comprehensive high school was too large of a setting for Student’s immediate placement. They determined that it was more appropriate to allow Student to transition to a small group setting, SLDC, before transitioning him to the comprehensive high school. These discussions were comprehensive, and included Student’s special education attorney. The overwhelming weight of the evidence demonstrated that Guardian was aware of District’s placement options, but was convinced that Student’s current unilateral placement was the only appropriate placement for Student. 34. District met its burden of showing that its offer of placement and related services were appropriate to meet Student’s unique needs and were reasonably calculated to provide some educational benefit. The IEP team was aware of Student’s long-standing challenges. The IEP contained an appropriate offer of placement, goals, provision for specialized academic instruction, speech and language services, physical education, occupational therapy services, and counseling services, all designed to provide academic benefit. District’s offer of two half-hour sessions of group and one half-hour of individual speech and language therapy was appropriate because it was designed to provide Student with academic benefit, even though it was less than Pliha’s recommended three hours per week. To help transition Student into a larger and lesser restrictive educational setting, District would provide a non-public school, in a small setting in order to accommodate Student’s needs within the school environment. Student’s experts believed that his communication skills could still progress, and that he required work on his socialization skills. District’s placement offer provided an environment that will expose Student to more communication and social opportunities. While Student would not have available a one-to-one instructional setting throughout his school day, the IEP provided for a smaller setting and counseling to assist him throughout his school day. There is no evidence that Student was not capable of adjusting to a full school day and new routine during the transition period. 35. District met its burden of demonstrating that the placement offer was in the least restrictive environment. Under a Rachel H. analysis, there are four factors to be considered to determine whether general education is appropriate. In evaluating the educational benefit to Student if he were fully included in general education, the evidence demonstrated he was making academic gains, but he was often distracted and anxious in a one-to-one setting. Thus, it was more likely that the placement in a general comprehensive high school with a class size of 50 was too large for his learning style. In evaluating the nonacademic benefits, Student could gain socialization opportunities in a general education setting. Student functions well in community-based sports activities. In evaluating the effect Student would have on the general education teacher, Student would likely not have a negative behavioral effect on the teacher and other pupils, but he may require more adult attention and prompting than a general education teacher with 49 other students could provide. Finally, the cost of mainstreaming the Student was not a factor, as District was willing to fund a non-public school. In all, it is the large size of the classroom, with a ratio of one teacher to 50 students that would be the most problematic for Student’s transition, particularly because Student had been taught individually for three years. The District considered how best to minimize any harmful effect of transitioning away from individual instruction when it offered a small group setting in a mild to moderate autism class, with a class size of 12 and a teacher ratio of one teacher for three students. This approximates Student’s preferred educational setting (i.e. one-to-one instruction) more than the large class size of a comprehensive high school placement. 36. The IDEA requires that Student’s placement maximize interaction between disabled pupils and their nondisabled peers to the extent practicable. The IEP team appropriately considered Student’s unique needs in its placement offer. The SLDC program offered Student an opportunity to work in a smaller school environment, to be exposed to peers, and when appropriate, to transition to general education. Guardian’s preference for keeping Student in the most restrictive environment, one-to-one adult instruction in a nonpublic speech and language agency, is contrary to the goals of the IDEA and is not supported by the record. Student’s current program unduly restricts his progress behaviorally and socially and limits his opportunities to develop his communication skills. Student’s expert explained that his communication skills could progress and that he needed social contact. 37. The IEP targeted Student’s unique needs. The IEP included nine goals, and the evidence demonstrated that all the goals were based on assessments. The goals were appropriate, given that Student’s preferred providers had input into all the goals and determined them to be appropriate and achievable in any setting. Guardian provided extensive input into the goals. The IEP included a statement of the program modifications to be provided to Student, in the form of small group instruction. Student’s goals and objectives, placement offer, and transition plan were written with extensive knowledge of Student’s needs known by the team members at the time. 38. Student contends that District did not write goals in the areas of social skills, speech and language, math, reading comprehension, vocabulary and anxiety. These allegations are not supported by the evidence. Pliha and Ball were consulted about the goals in those areas. The IEP notes demonstrate these areas were discussed and developed. Student’s anxiety was also addressed as a unique area of need by District when it offered 30 minutes a week of school-based counseling to help him with anxiety during his transition to a less restrictive placement. Student’s social skills were discussed, and the IEP team offered a placement which would allow him to be with disabled peers initially, as a transition toward being with non-disabled peers. Student’s math goals were discussed, as evidenced by the IEP notes and credible witness testimony of Ball, Pliha and Bell. Student’s math, speech and language, reading comprehension, and vocabulary goals were developed with extensive input from Pliha and her assessments. The District’s mistake in not adding the reading comprehension goal into the IEP after the team discussed it, does not deny Student a FAPE because overall, the IEP offered Student a placement that would address his unique needs in this area. 39. The IEP included a transition plan, which included an assessment completed by Student. The ITP goals were developed and included Student enrolling in a postsecondary training program at a junior college or a vocational school; being employed in an entry level job in his area of interest; and independently transporting himself to and from school and work. The ITP recommended a diploma track curriculum and was based on Student’s individual needs, taking into account his strengths, preferences and interests. 1. District offered Student a FAPE in the IEP dated June 3, and 21, 2010. 2. District may implement the June 3, and June 2, 2010 IEP without Guardian consent. Pursuant to Education Code section 56507, subdivision (d), the hearing decision must indicate the extent to which each party has prevailed on each issue heard and decided. Here, District was the prevailing party on the sole issue presented.